Great Gable with Green Gable to its left is seen here from the true summit of Kirk Fell. On the horizon, beyond Green Gable are Dollywagon Pike and Fairfield, and the valley of Grisedale between. 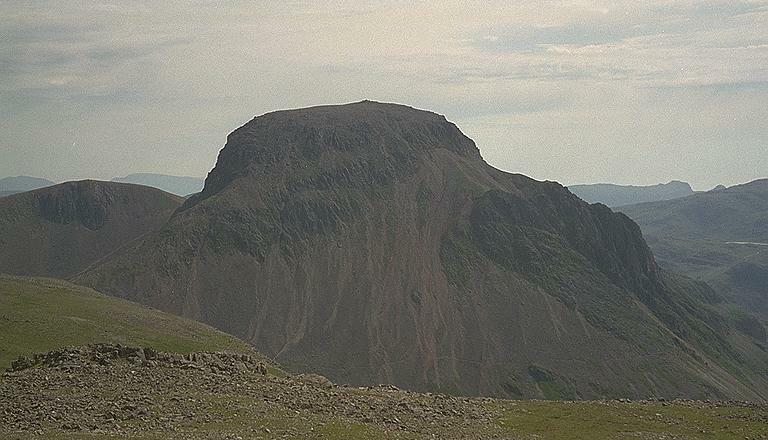 To the right of Great Gable are Harrison Stickle and Pike o'Stickle. Sprinkling Tarn can be seen on the extreme right. Smaller version of this picture.